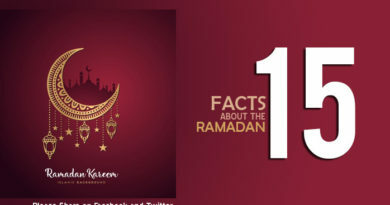 Download the top 100 best Islamic quotes with images. People daily search beautiful Inspirational Islamic quotes about love, life, help, strength, prayer, Dua, forgiveness and about Allah’s love on Internet. 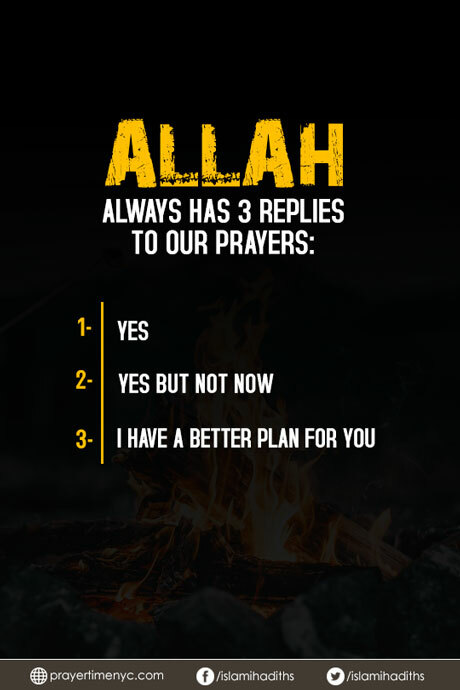 I’m going to share the beautiful Muslim and Islamic quotes with unique images. 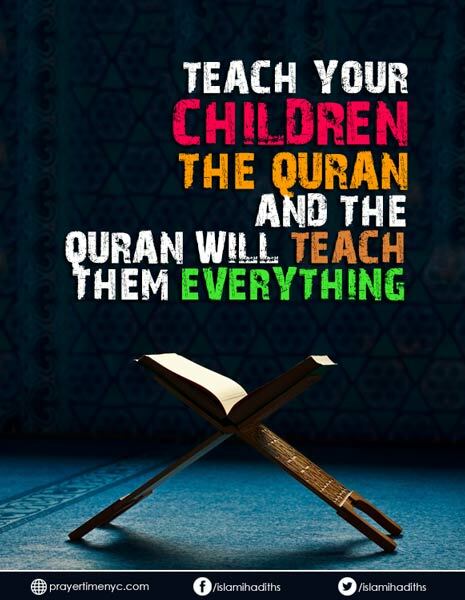 1- Teach your children the Holy Quran and the Quran will teach them everything. 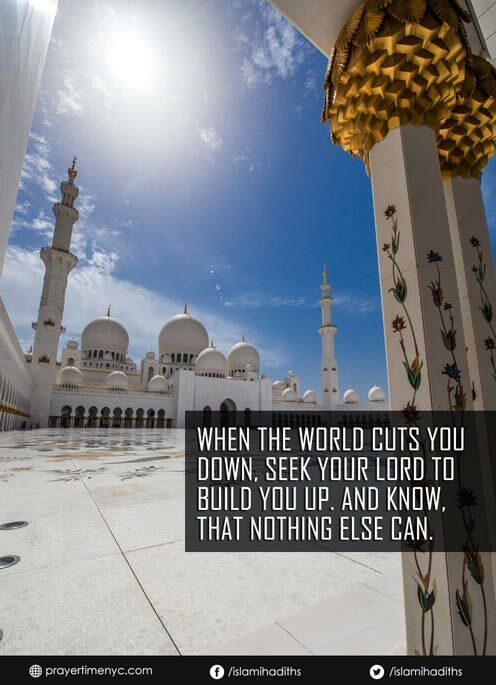 2- When the world cuts you down, seek your Lord to build you up. And know, that nothing else can. 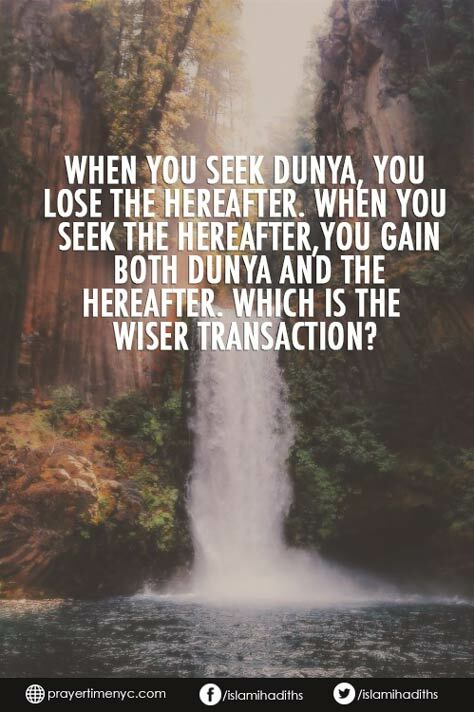 3- When you seek Dunya, you lose the hereafter. When you seek the hereafter,you gain both dunya and the hereafter. Which is the wiser transaction? 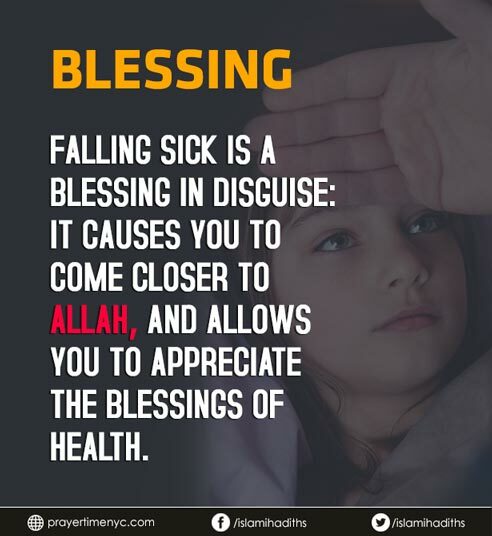 4- Falling sick is a blessing in disguise: it causes you to come closer to Allah, and allows you to appreciate the blessings of health. 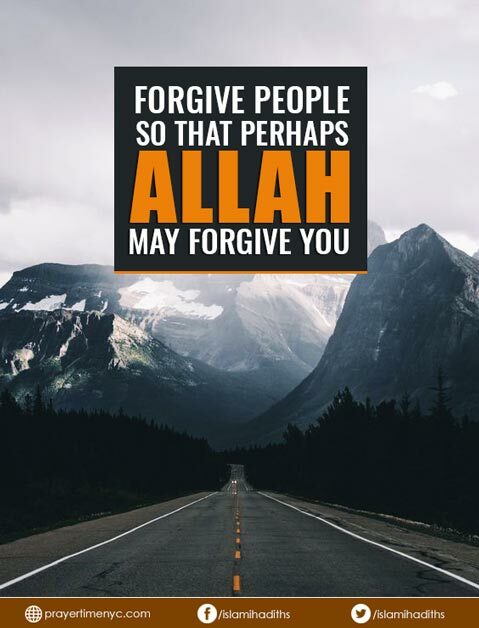 5- Forgive people so that perhaps Allah may forgive you. 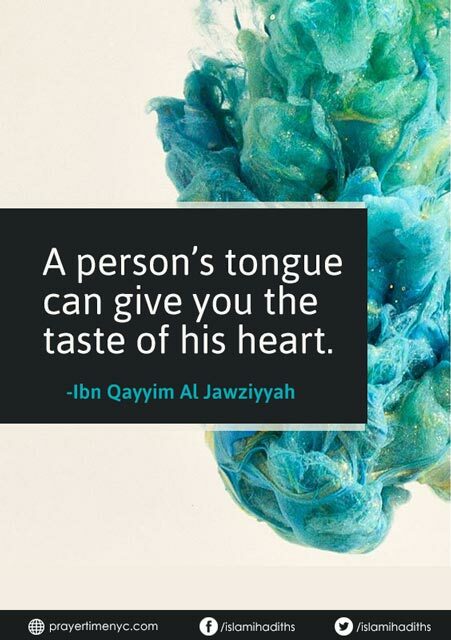 6- A person’s tongue can give you the taste of his heart. 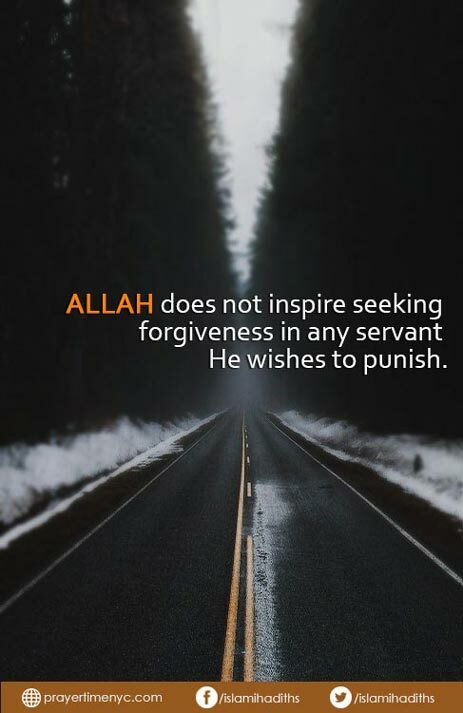 7- Allah does not inspire seeking forgiveness in any servant He (Allah) wishes to punish. 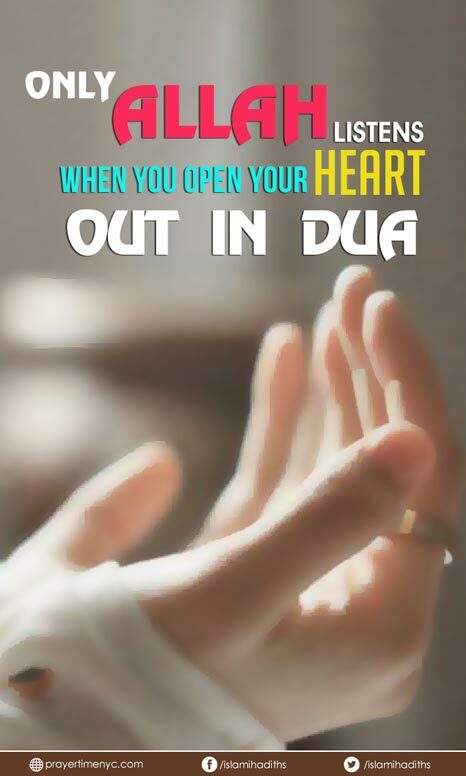 8- Only Allah listens, when you open your heart out in Dua. 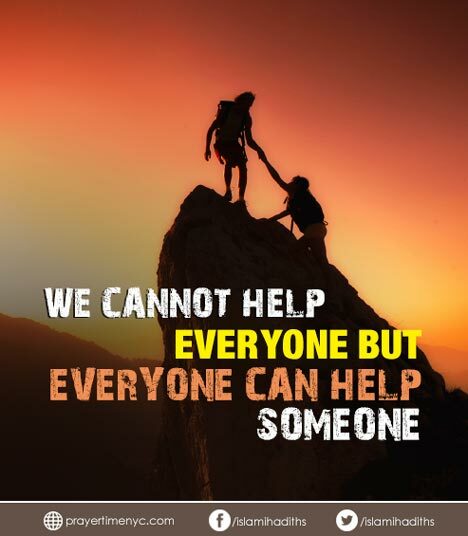 9- We can’t help everyone but everyone can help someone. 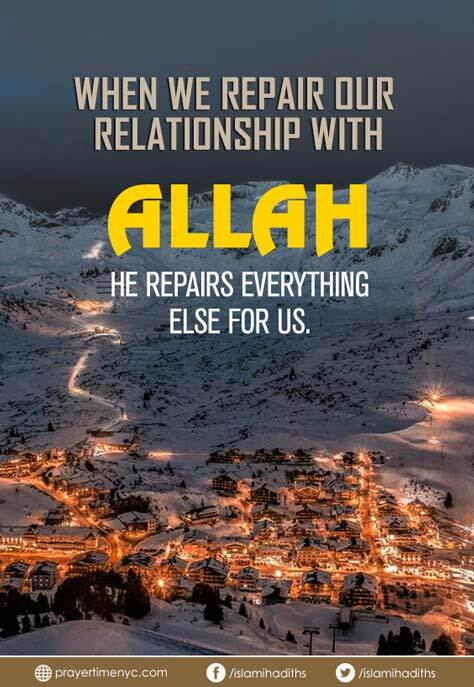 10- When we repair our relationship with Allah, He repairs everything else for us. 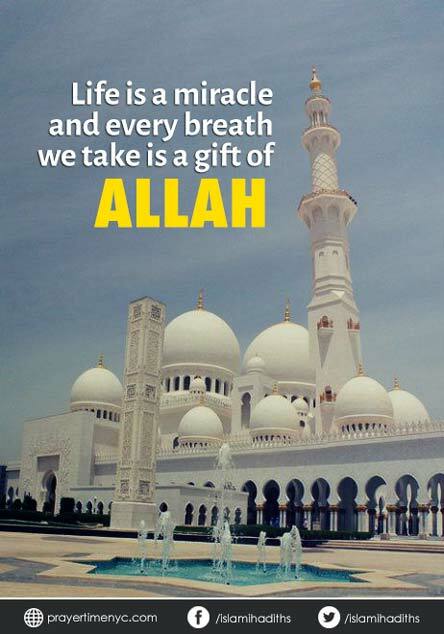 11- Life is a miracle and every breath we take is a gift of Allah. 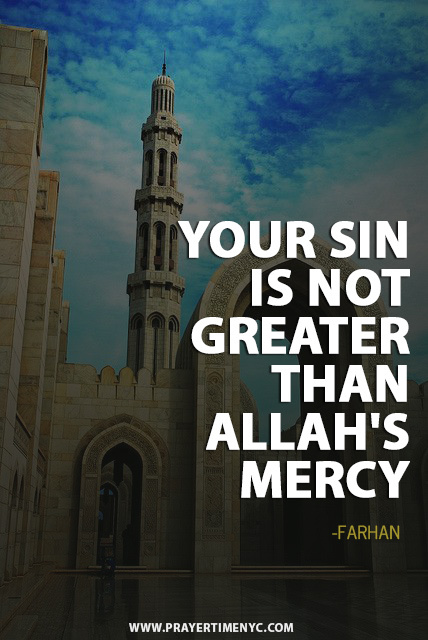 12- Your sin is not greater than Allah mercy. 13- Don’t take salah as a burden. 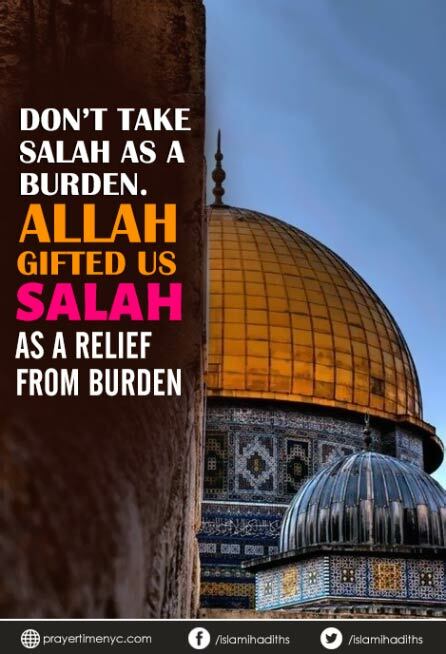 Allah gifted us salah as a relief from burden. 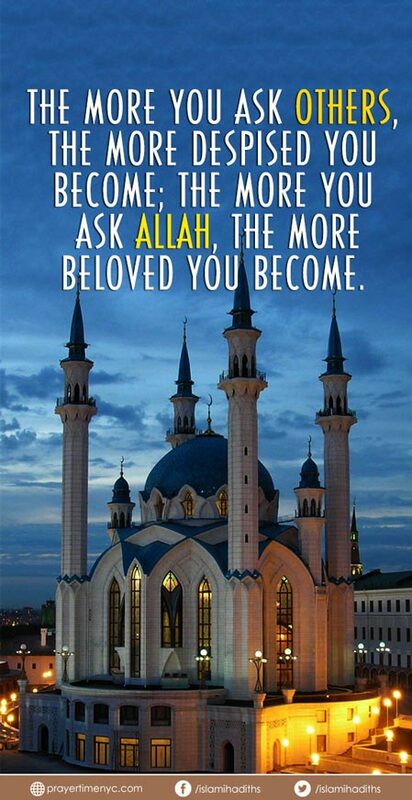 14- The more you ask others, the more despised you become; the more you ask Allah, the more beloved you become. 15- Don’t worry about people that are in your past, there’s a reason why they didn’t make it to your future. 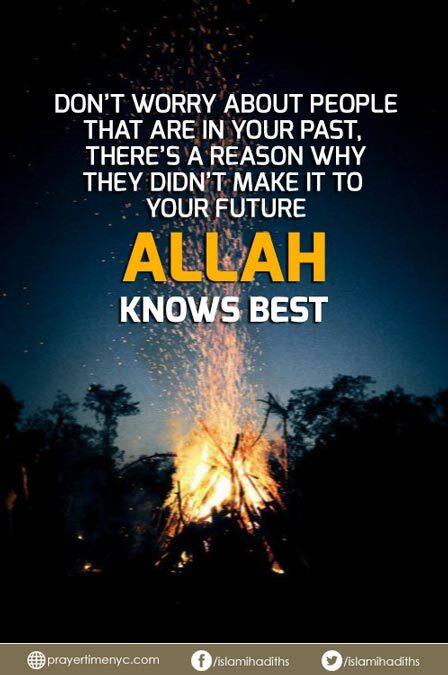 Allah knows best. 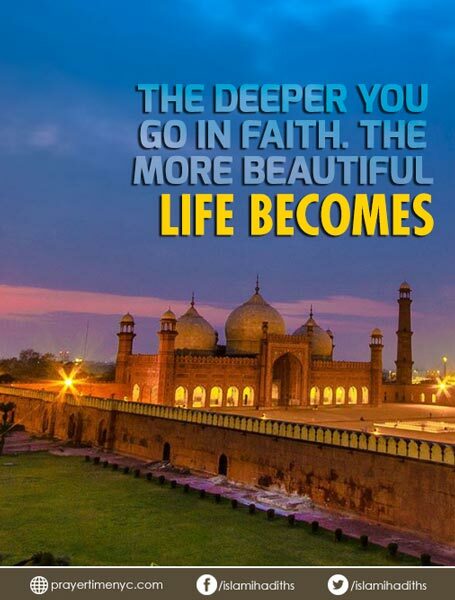 16- The deeper you go in faith. The more beautiful life becomes. 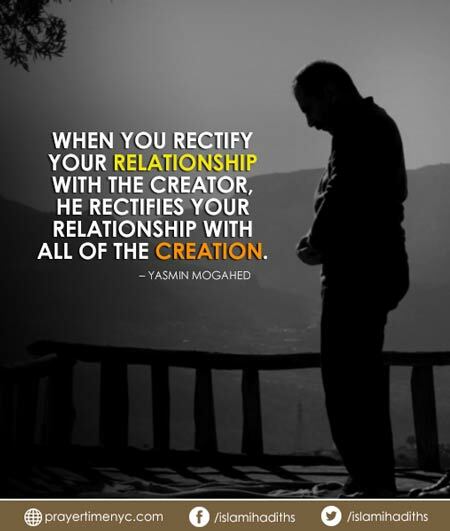 17- When you rectify your relationship with the Creator, He rectifies your relationship with all of the creation. 18- In trusting Allah, remember that what’s best for you might be what’s most painful. 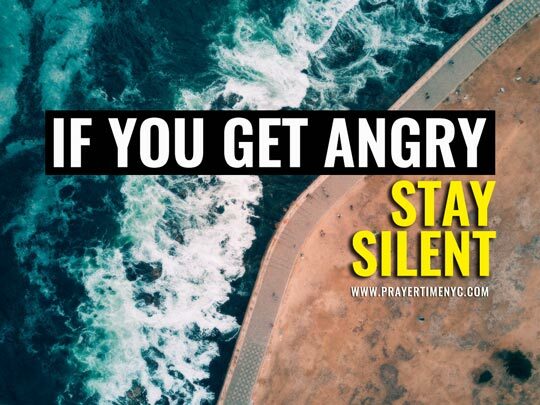 19- If you get angry, stay silent. 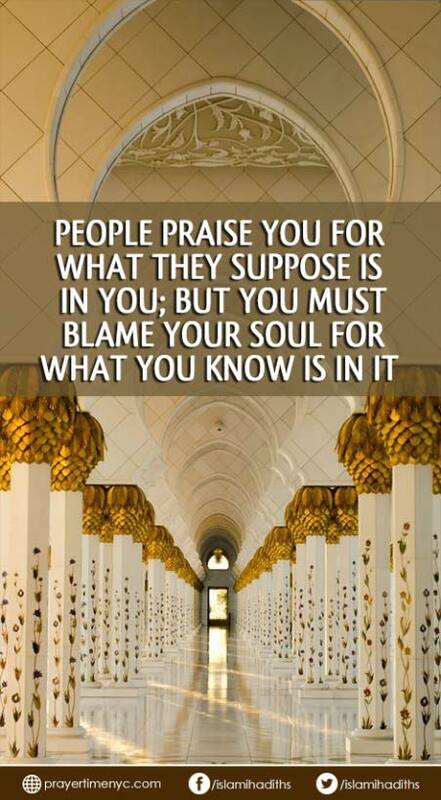 20- People praise you for what they suppose is in you; but you must blame your soul for what you know is in it. 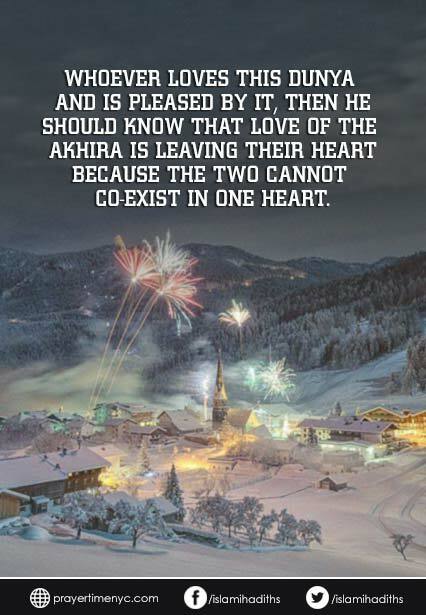 21- Whoever loves this dunya and is pleased by it, then he should know that love of the akhirat is leaving their heart because the two cannot co-exist in one heart. 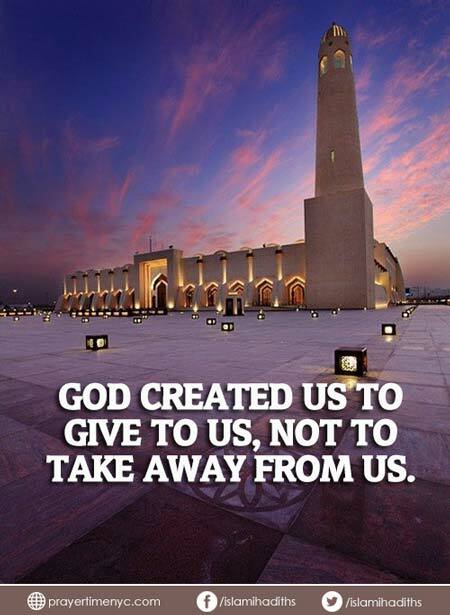 22- God created us to give to us, not to take away from us. 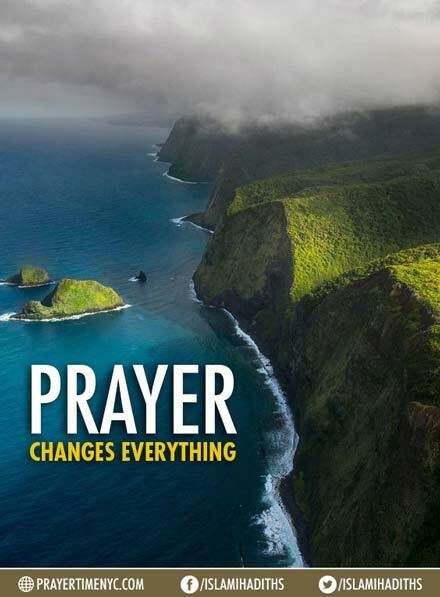 23- Prayer is an amazing exchange. you hand your worries to Allah and Allah hand over his blessings to you. 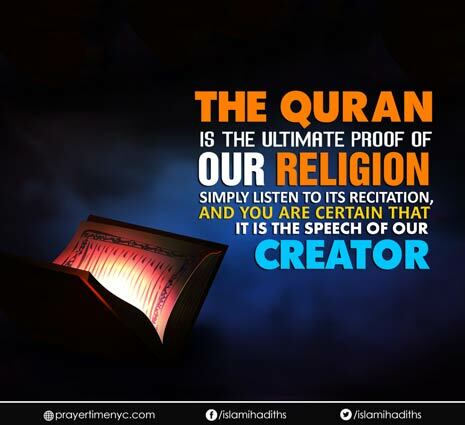 24- The Quran is the ultimate proof of our religion; simply listen to its recitation, and you are certain that it is the Speech of our Creator. 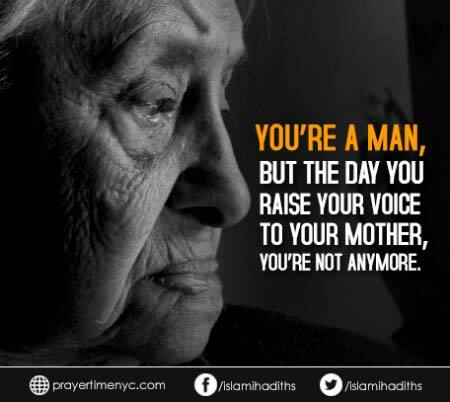 25- You’re a man, but the day you raise your voice to your mother, you’re not anymore. 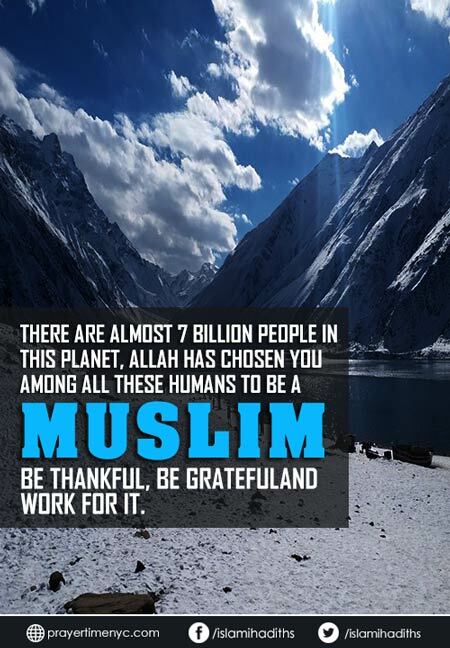 26- There are almost 7 billion people in this planet, Allah has chosen you among all these humans to be a Muslim. Be thankful, be grateful and work for it. 27- Hope shouldn’t increase with good deeds and decrease with sin. In good deeds, my hope is for Allah to accept. 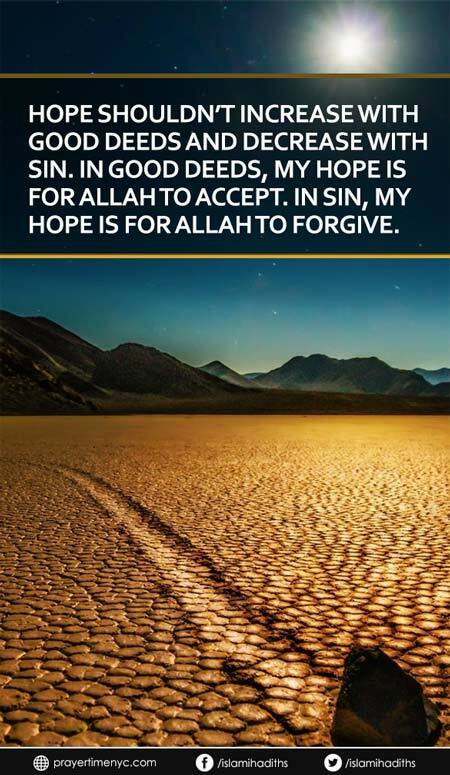 In sin, my hope is for Allah to forgive. 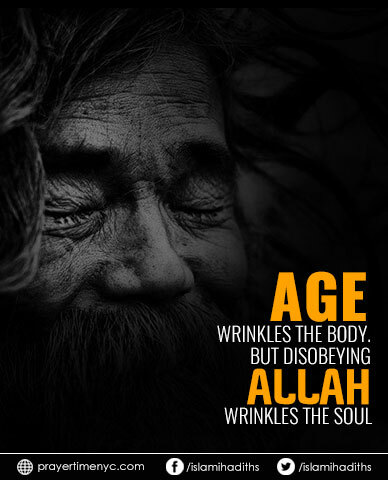 28- Age wrinkles the body, but disobeying Allah wrinkles the Soul. 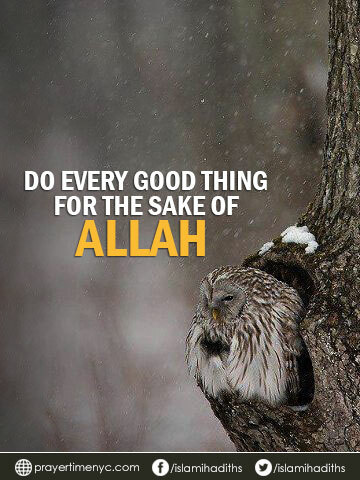 30- Do every good thing for the sake of Allah. 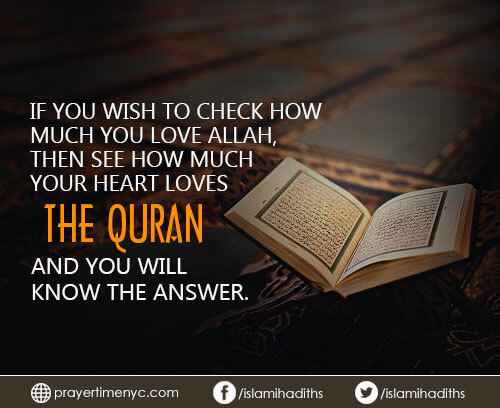 31- If you wish to check how much you love Allah, then see how much your heart loves the Quran, and you will know the answer. 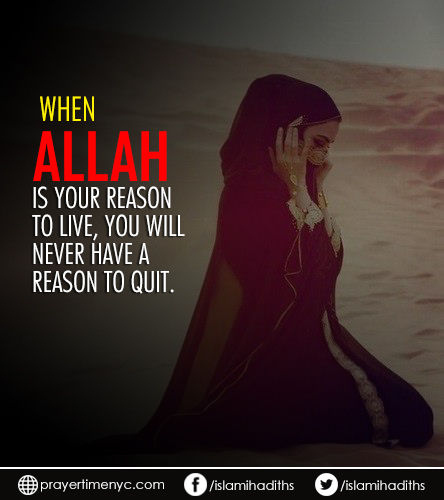 32- When Allah is your reason to live, you will never have a reason to quit. 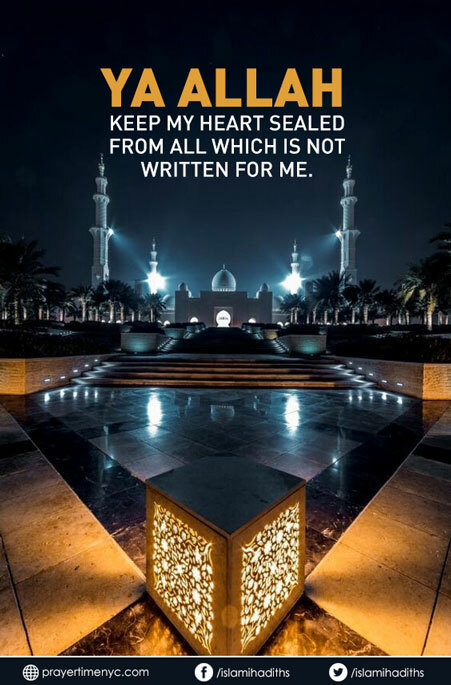 33- Ya-Allah keep my heart sealed from all which is not written for me. 34- Oh Allah, You are the best of givers. So give me the best. 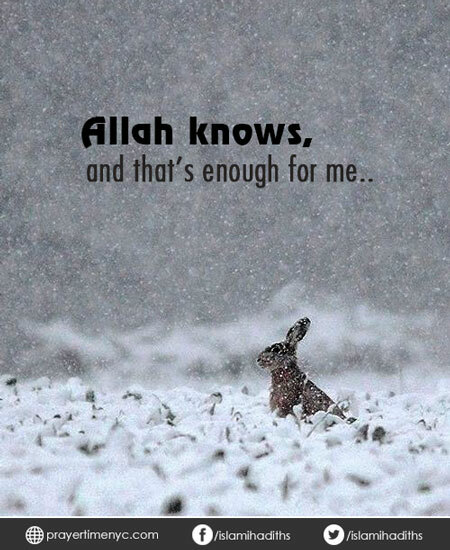 35- Allah knows, and that’s enough for me. 36- Allah is greater than anything you can imagine. 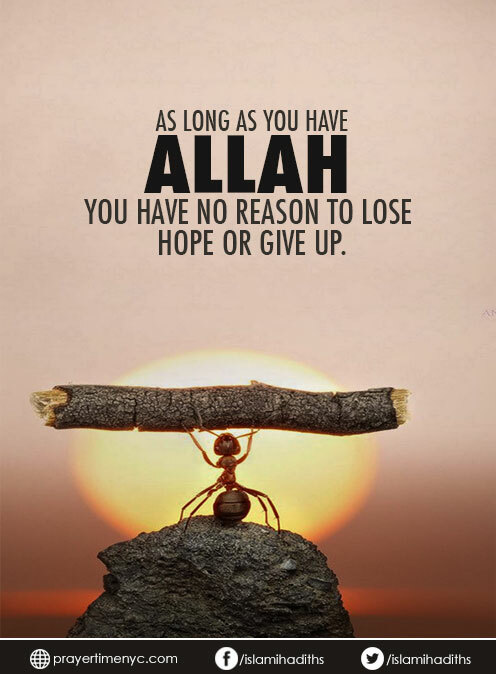 37- As long as you have Allah, you have no reason to lose hope or give up. 38- All people go to Allah after death. 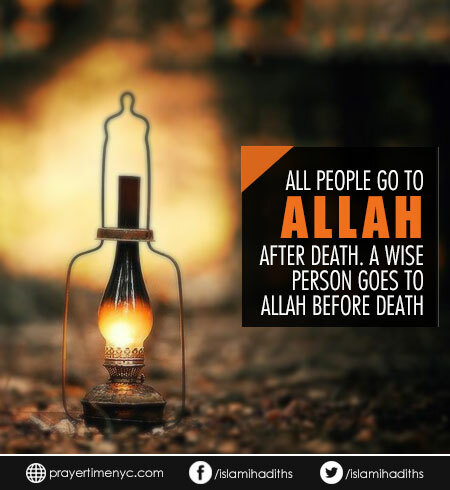 A wise person goes to Allah before death. 39- When your heart becomes heavy. 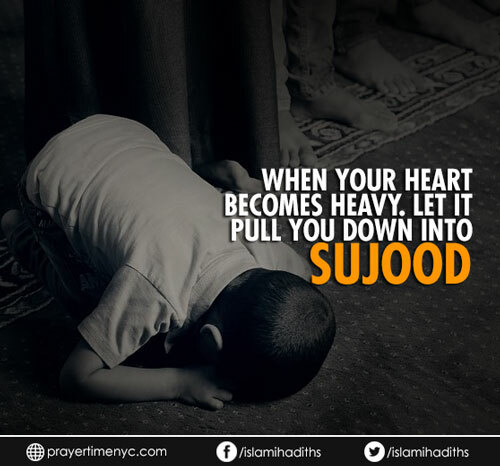 Let it pull you down into Sujood. 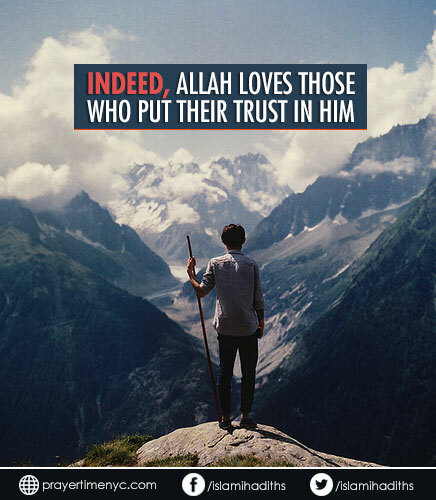 40- Indeed, Allah loves those who put their trust in him. 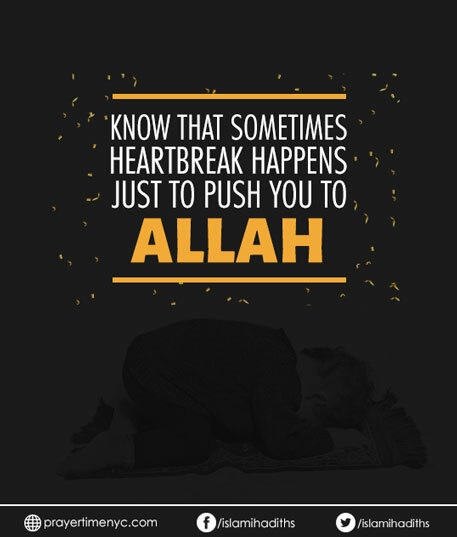 41- Know that sometimes heartbreak happens just to push you to Allah. 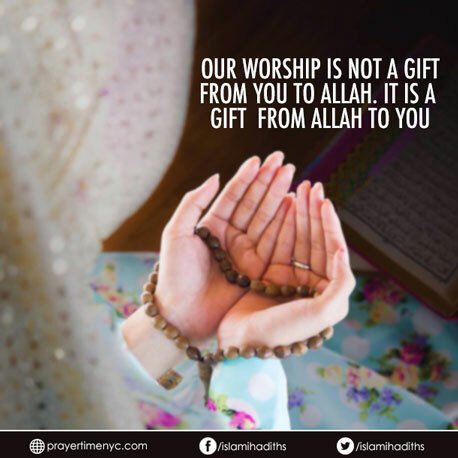 42- Your worship is not a gift from you to Allah. It is a gift from Allah to you. 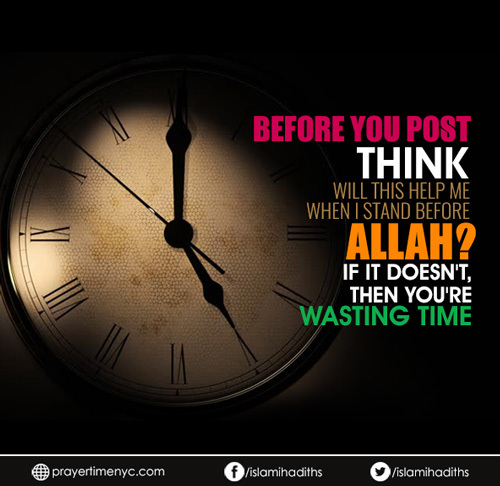 43- Before you post, think! “Will this help me when i stand before Allah?” If it doesn’t, then you’re wasting time. 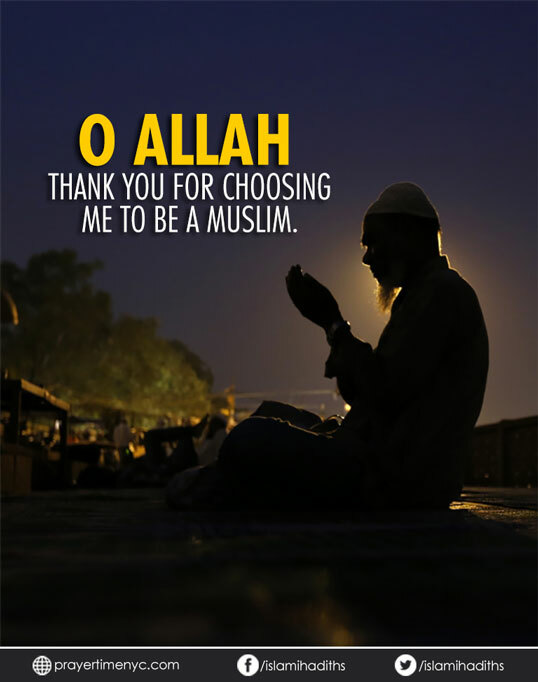 44- O Allah, thank you for choosing me to be a Muslim. 45- Don’t tell them you are Muslim. 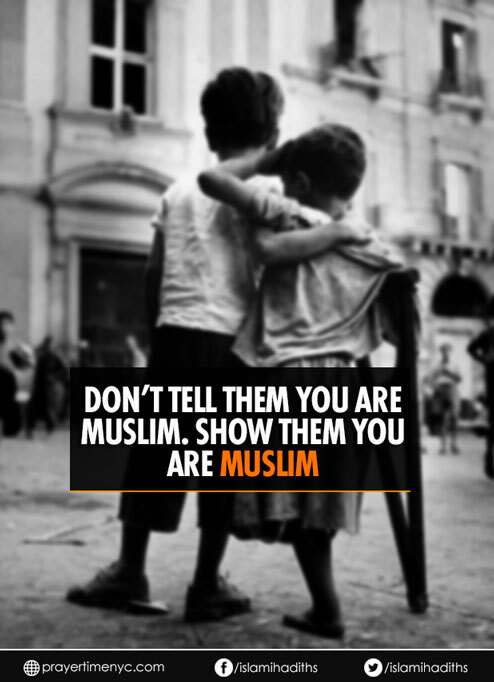 Show them you are Muslim. 46- Astaghfirullah for my past, Allhamdulillah for my present and Insh’Allah for my future. 47- Beauty is how you feel inside, and it reflects in your eyes. It is not something physical. 48- There is no might nor strength except through Allah. 49- Today you trade with dollars & ponds. 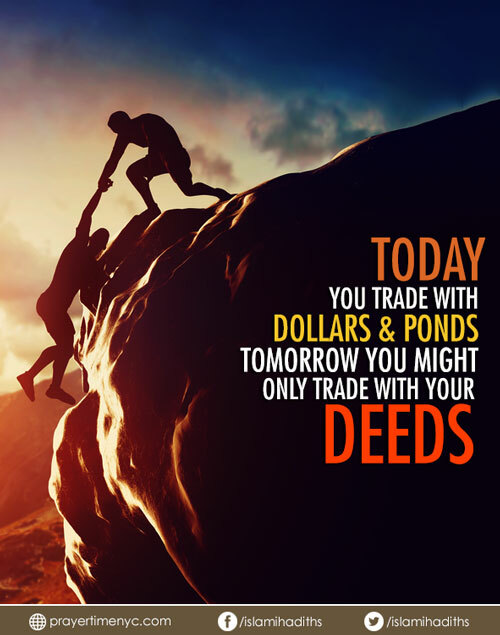 Tomorrow you might only trade with your deeds. 50- Haya (Modesty) is a trait which most people lose because of social media. 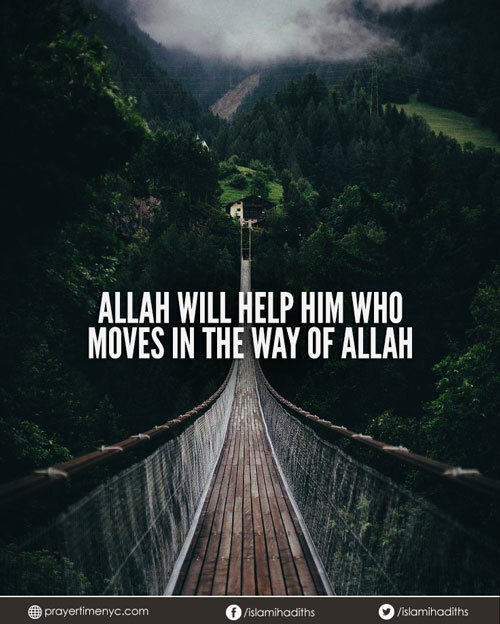 51- Allah will help him who moves in the way of Allah. 52- The more knowledge you have, the greater will be your fear of Allah. 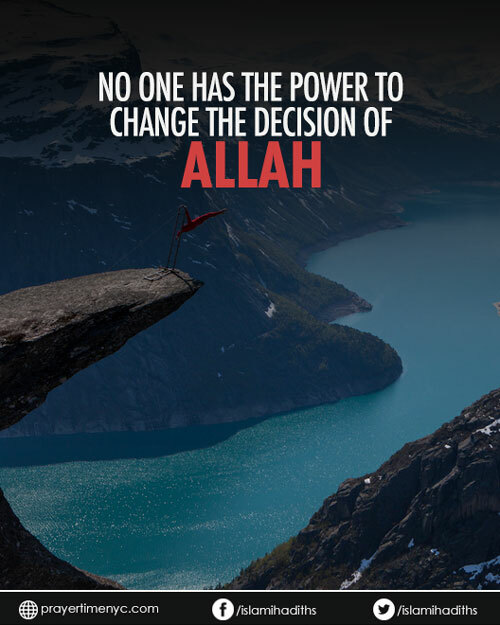 53- No one has the power to change the Decision of Allah. 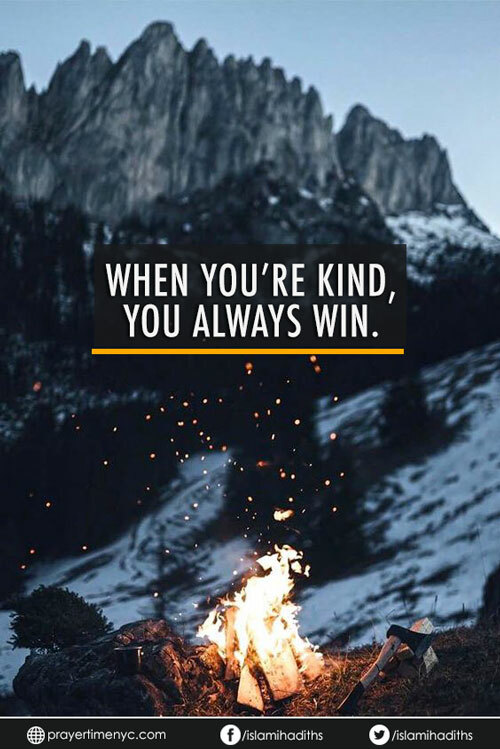 54- When you’re kind, you always win. 55- If you feel empty, take the opportunity to fill yourself with the dhikr of Allah (SWT). 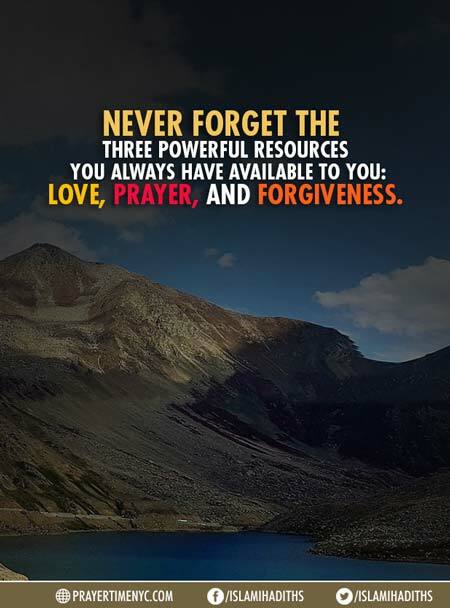 57- Never forget the three powerful resources you always have available to you: love, prayer, and forgiveness. 58- Say Al-hamdulillah for the good and hard times in your life! 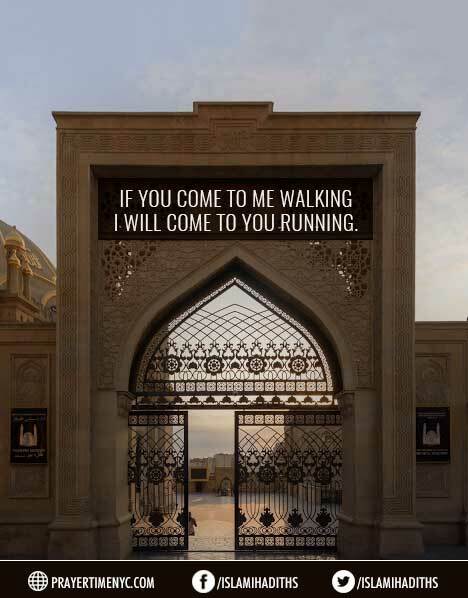 59- if you come to me walking, i will come to you running. 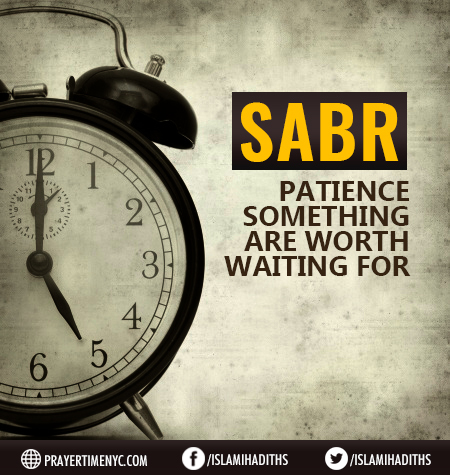 60- Patience (Sabr)! something are worth waiting for. 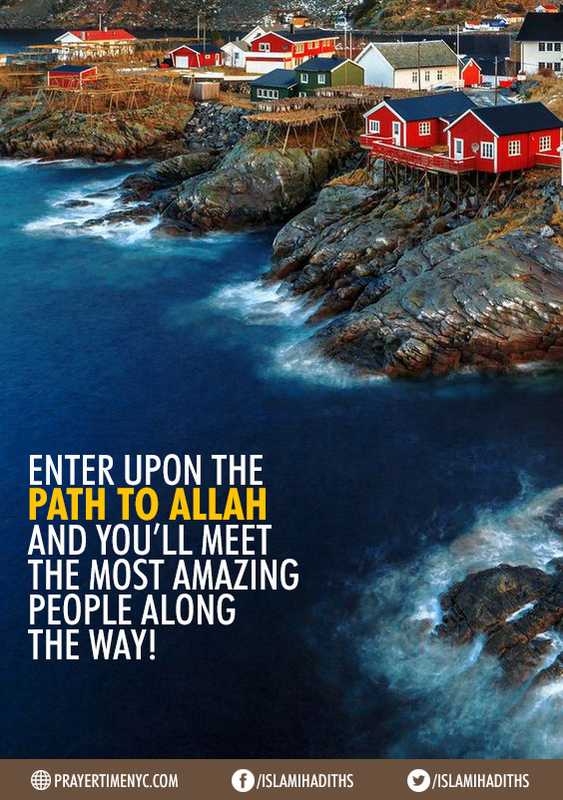 61- Enter upon the path to Allah and you’ll meet the most amazing people along the way. 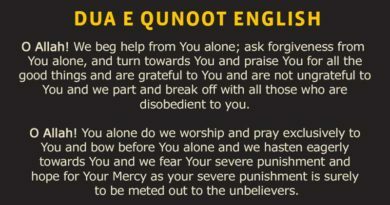 62- O Allah, Open to me the doors of your mercy. 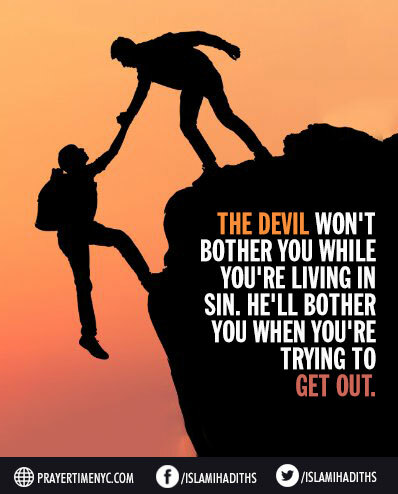 63- The devil won’t bother you while you’re living in sin. He’ll bother you when you’re trying to get out. 64- Alhamdulillah for always giving me what I needed instead of what I wanted. 65- Don’t just thank Allah when everything’s going right, thank Him even when things are challenging. 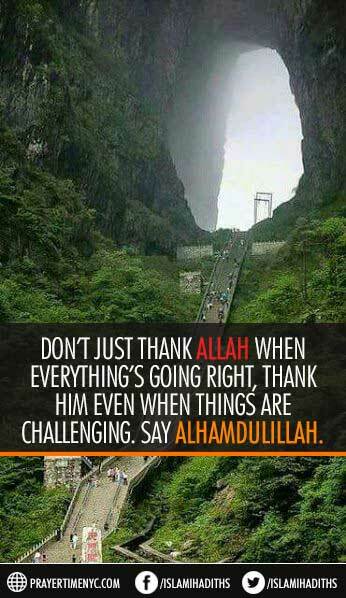 Say Alhamdulillah. 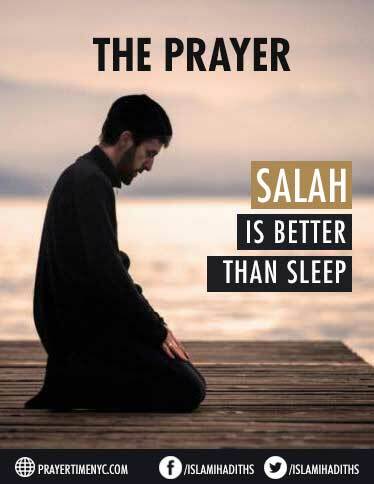 66- The Prayer (Salah) is better than sleep. 67- Remember, Allah doesn’t burden a soul more than it can bear. 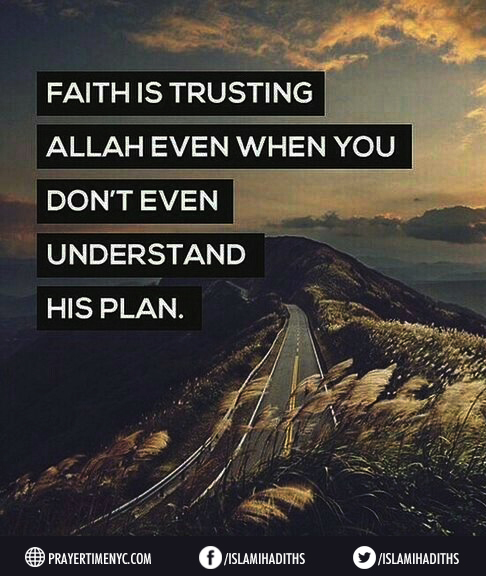 68- Faith is trusting Allah even when you don’t even understand his plan. 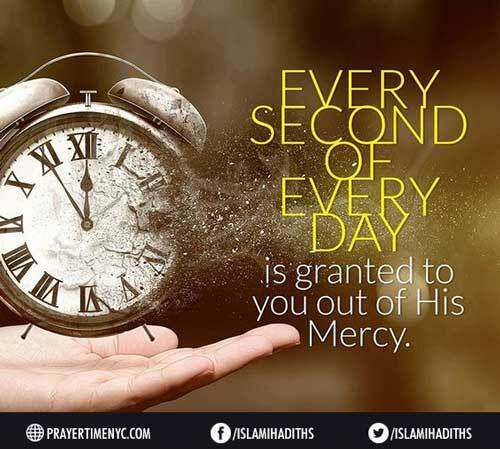 69- Every second of everyday is granted to you out of his mercy. 70- Maybe today will be the day. 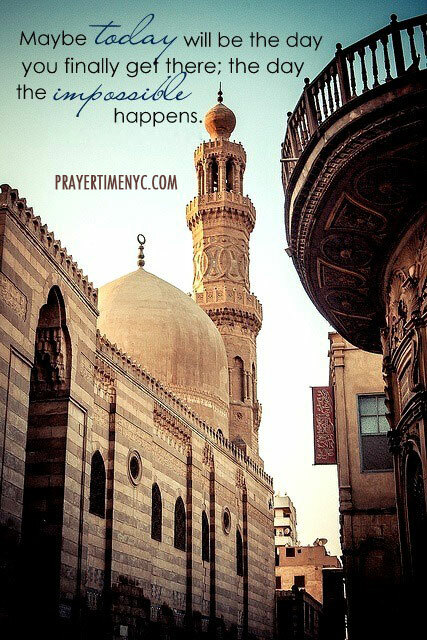 Don’t lose hope in the mercy of Allah.. All it takes is patience and faith. 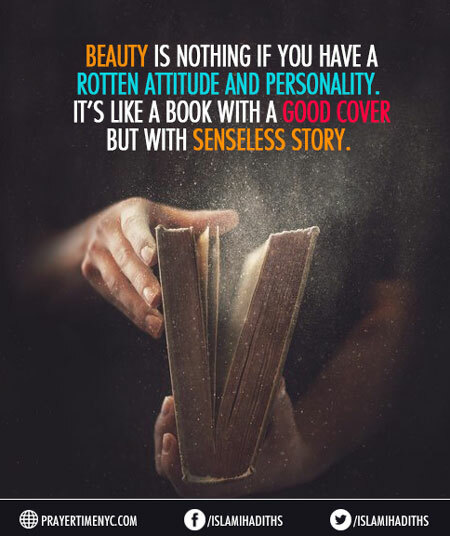 71- Beauty is nothing if you have a rotten attitude and personality. It’s like a book with a good cover but with senseless story. 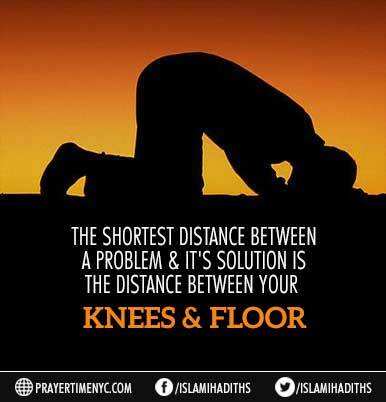 72- The shortest distance between a problem and its solution is the distance between your knees and floors. 73- In this Dunya there is no greater pleasure than Sujood [Sajda]. 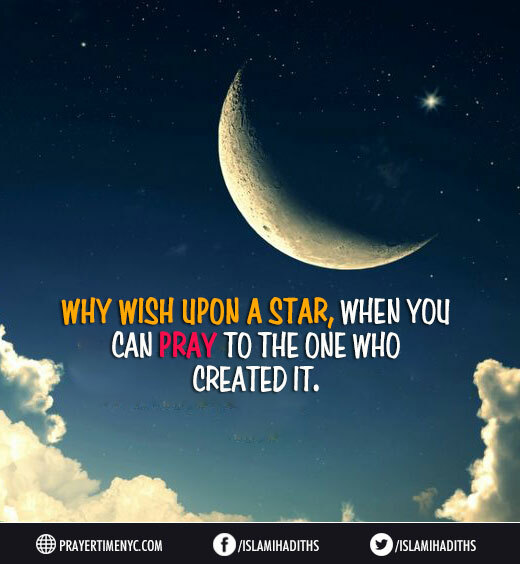 74- Why wish upon a star, when you can pray to the one who created it. 75- Turn each anxiety, fear and concern into Du. See it as another reason to be in Sujood, the position in which you are closest to Allah. 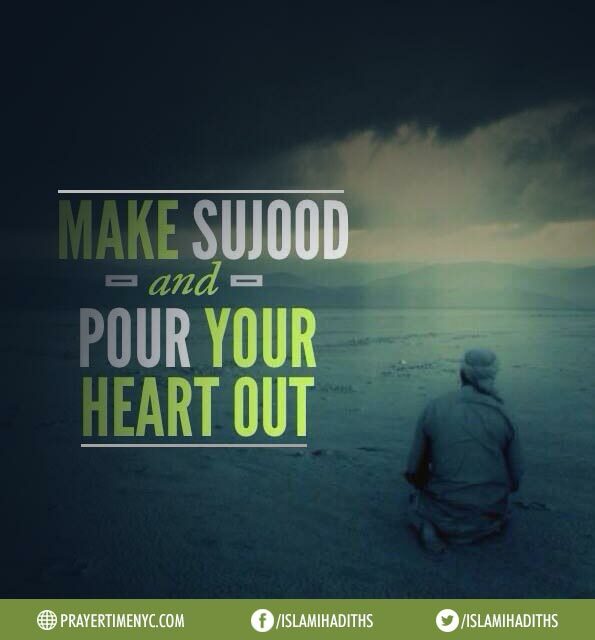 76- Make Sujood and Pour you heart out. 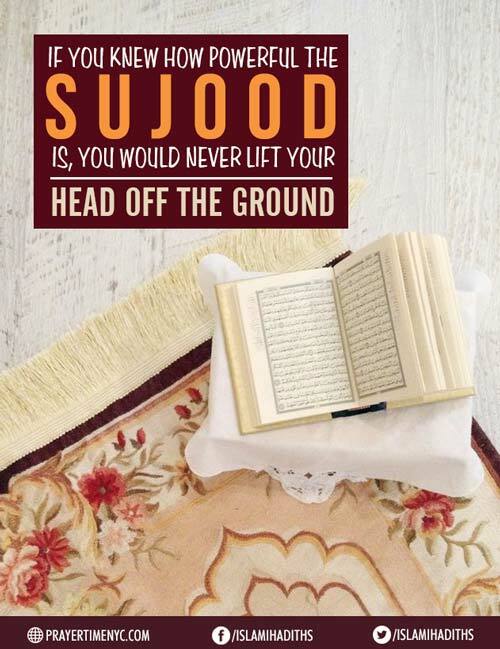 77- If you knew how powerful the Sujood is, you would never lift your head off the ground. 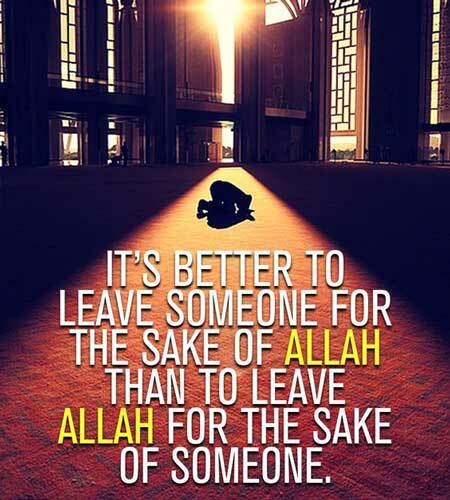 78- It’s better to leave someone for the sake of Allah than to leave Allah for the sake of someone. 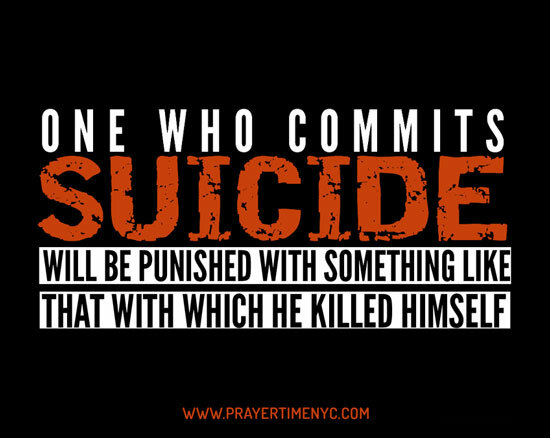 79- One who commits suicide will be punished with something like that with which he killed himself.